Sometimes you meet someone and within like 30 seconds you think to yourself, "Yep, these are my people." That's pretty much exactly how it went down when I met Lauren and Jeff in person for the first time. I made the trek up to Chicago from St. Louis in late October. Forbis couldn't join me (ahh those pesky responsibilities of work + parenting), so my buddy Emily of Films by Juniper road-tripped with me and came along to the session. 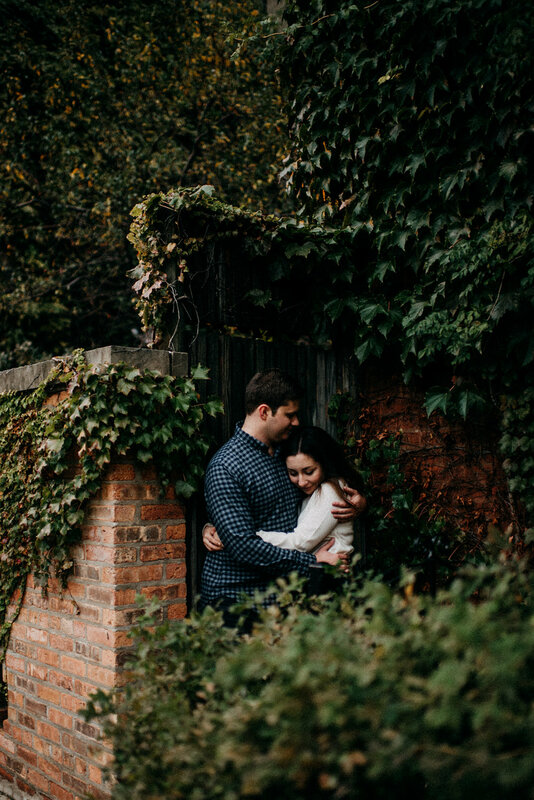 We had so much fun walking around Lauren and Jeff's Lincoln Park neighborhood on this gloomy fall evening. These two are honestly a dream to photograph - they made it so easy. They are super relaxed and hilarious people. We are really looking forward to heading back up to Chicago next September for their wedding!